Mailed 3/10/17 to Subscribers. Allow 6-8 weeks for USPS delivery. 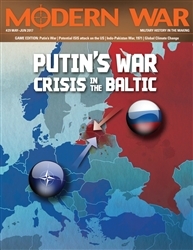 Putin’s War: Reclaiming the Soviet Empire in Eastern Europe is a strategic-level, two-player wargame of low-intermediate complexity that covers the campaign that could occur if the Russian dictator decides to give up his strategy of incremental “opaque” warfare and instead simply try for a big win. The game’s sub-systems are crafted to present a supreme-commander’s-eye-view of such a war. 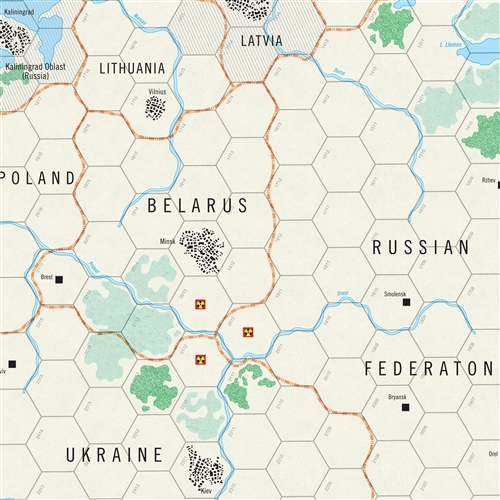 It’s therefore almost fully strategic in its perspective, with only the most pastel of operational and tactical undertones added to enhance its tone and texture in those regards. 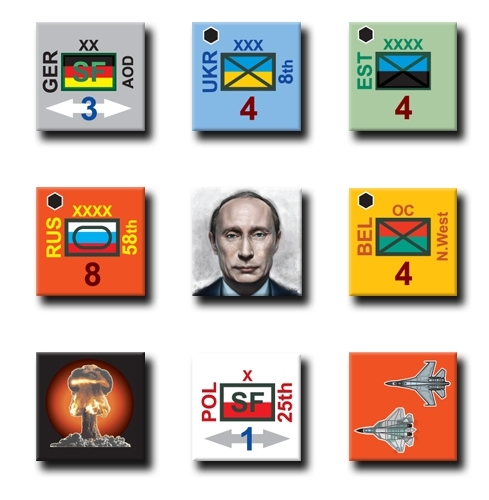 Putin’s War takes two experienced players only about two hours to complete, and it’s adaptable for solitaire play.